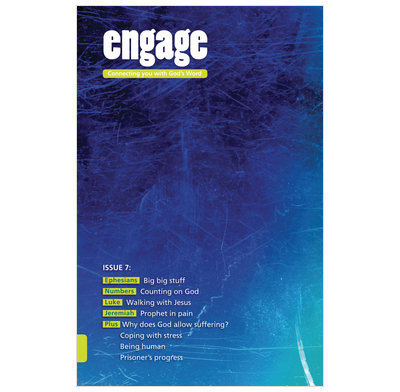 Issue 7 of Engage looks at Ephesians, Numbers, Luke and Jeremiah. Issue 7 of Engage - daily Bible reading notes for teenagers. This issue looks at Ephesians, Numbers, Luke and Jeremiah. There are also fascinating articles on why God allows suffering, how to cope with stress and on being human.